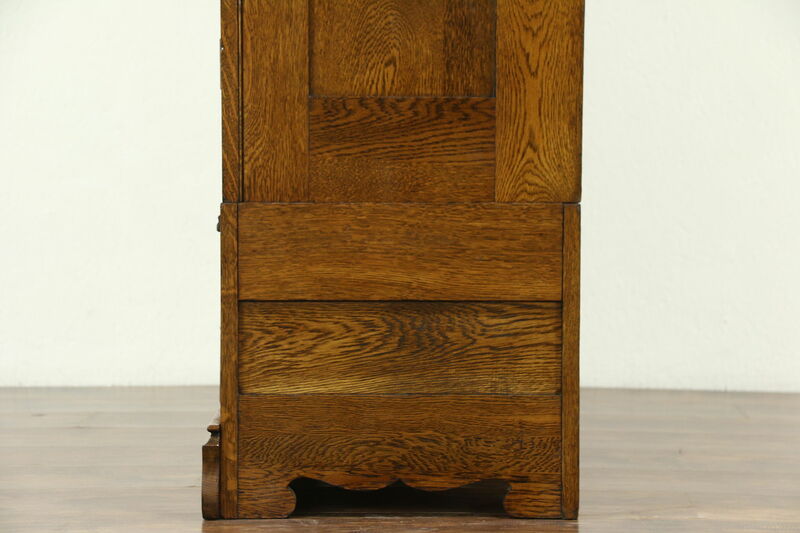 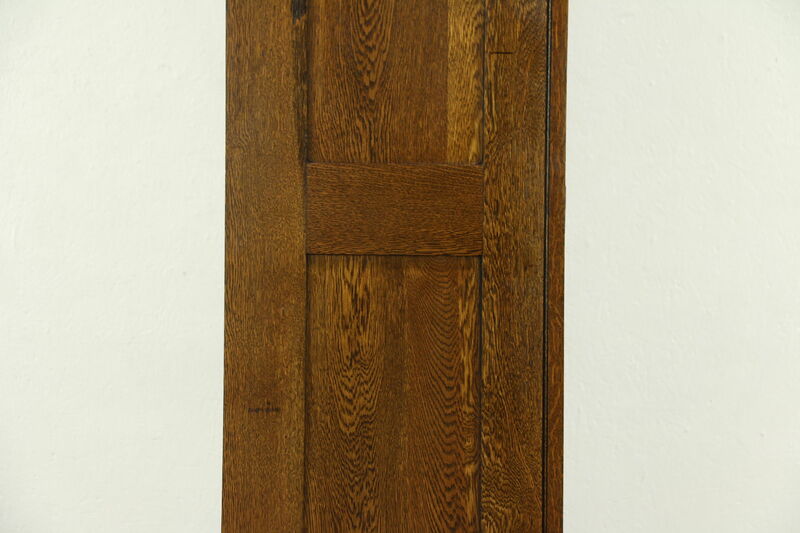 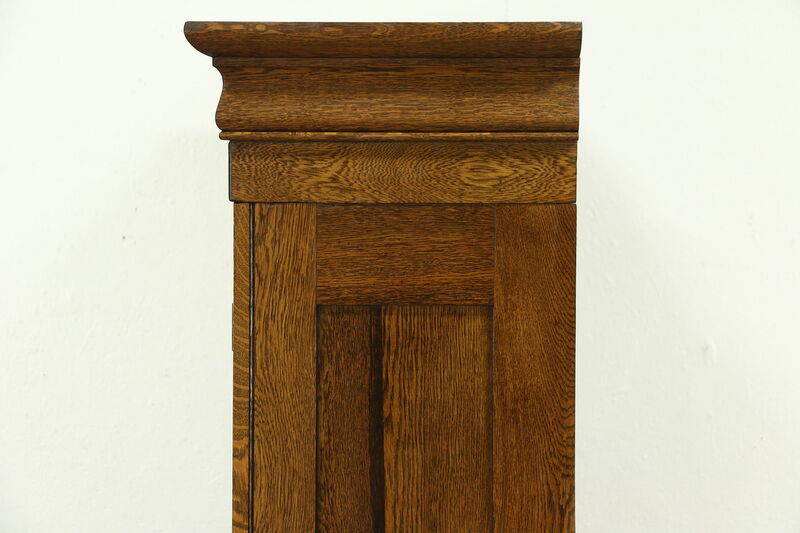 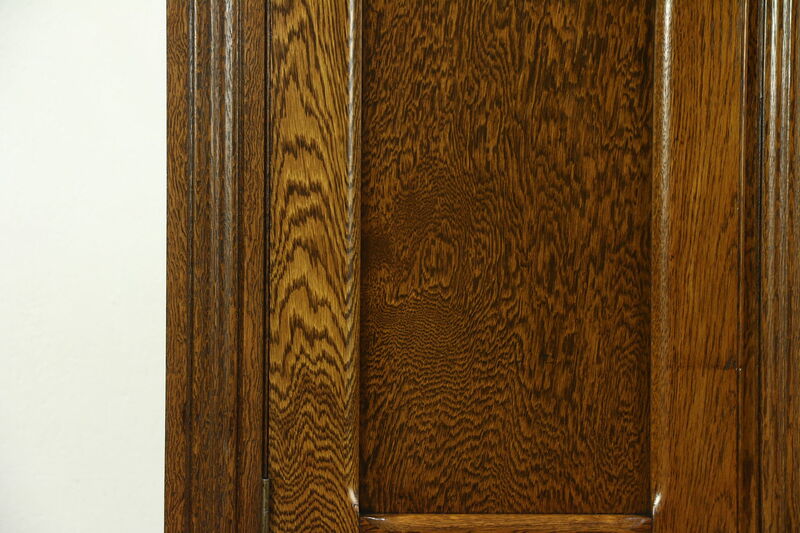 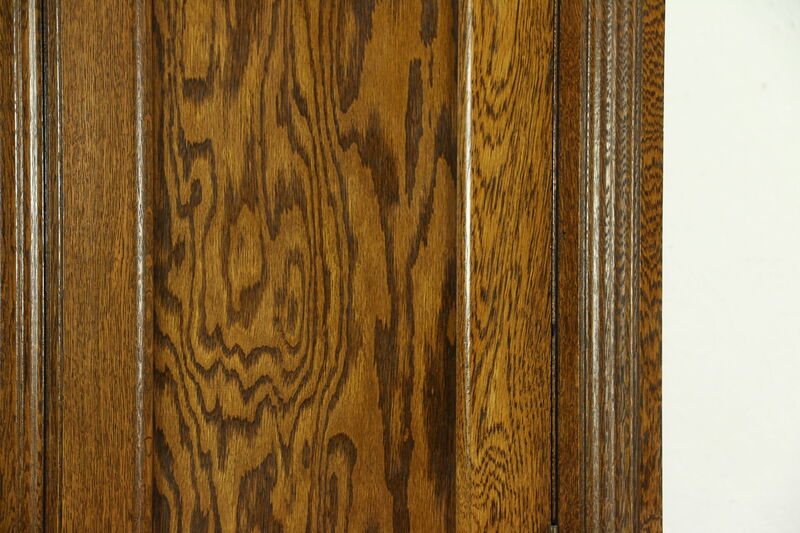 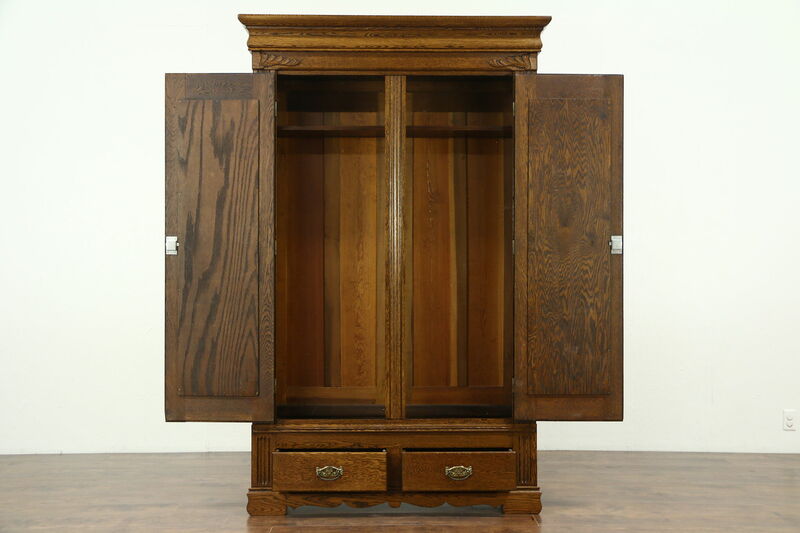 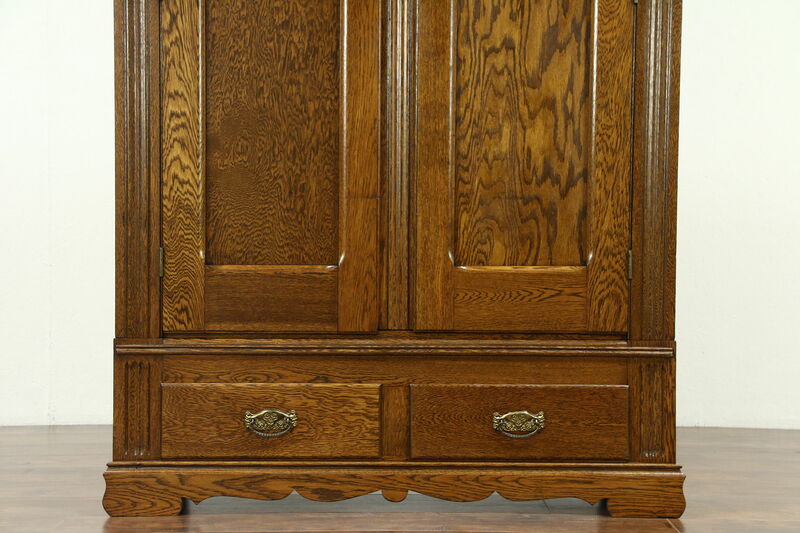 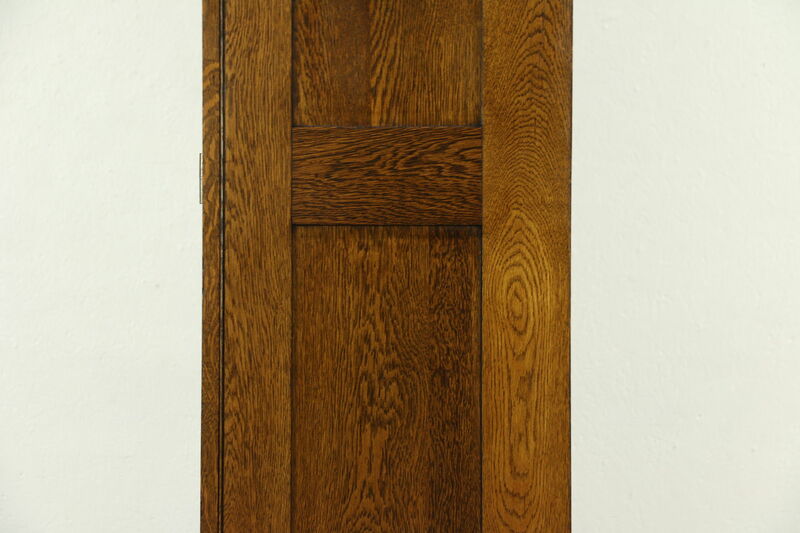 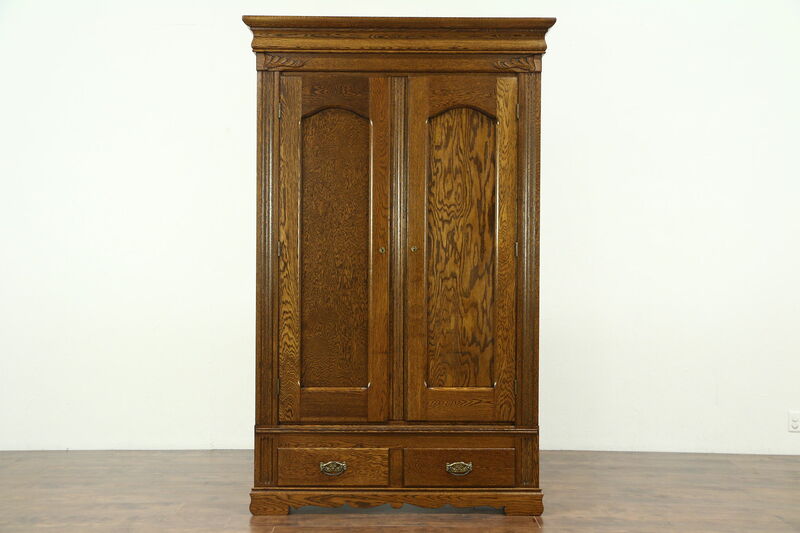 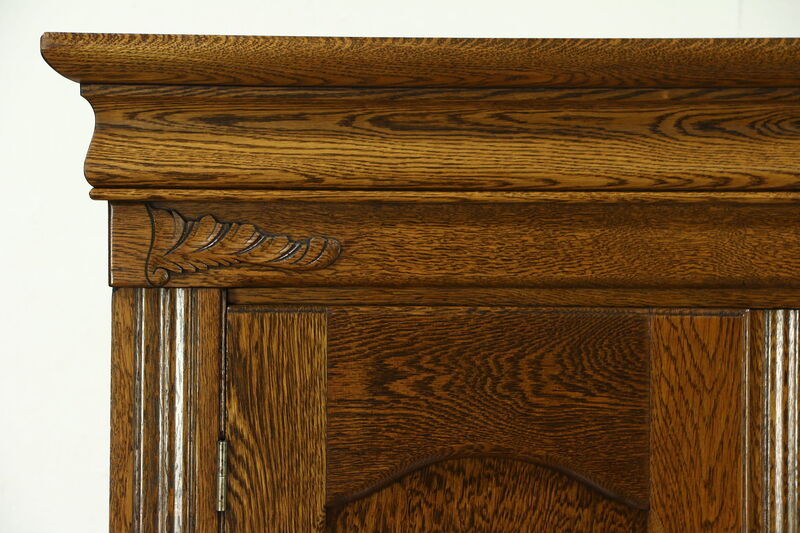 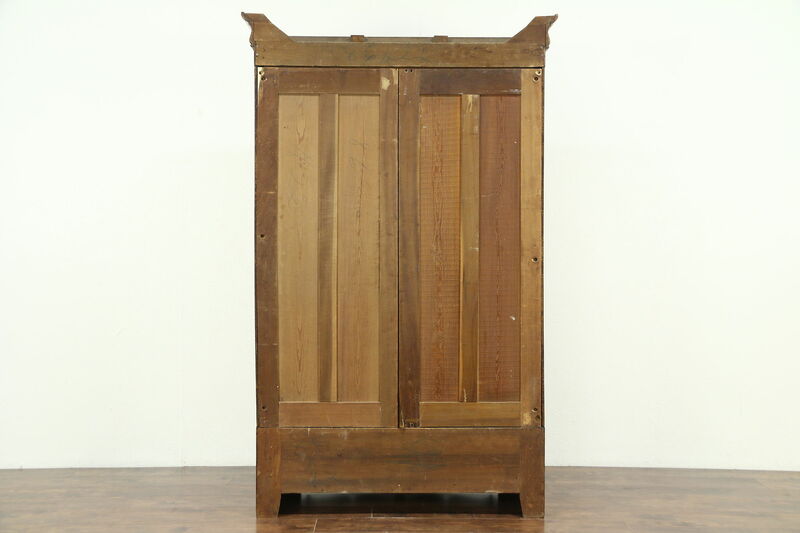 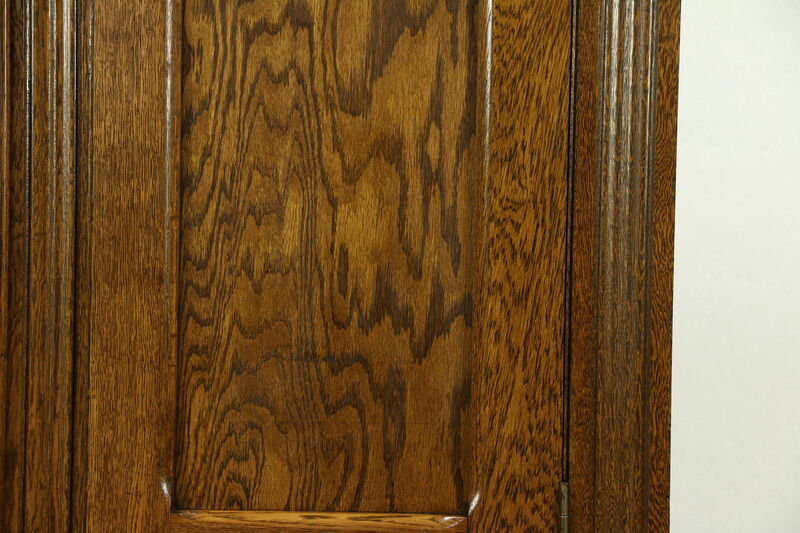 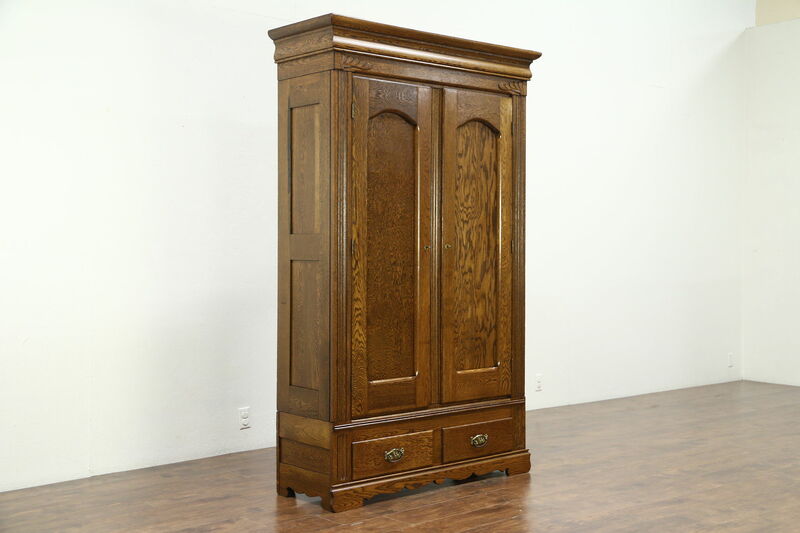 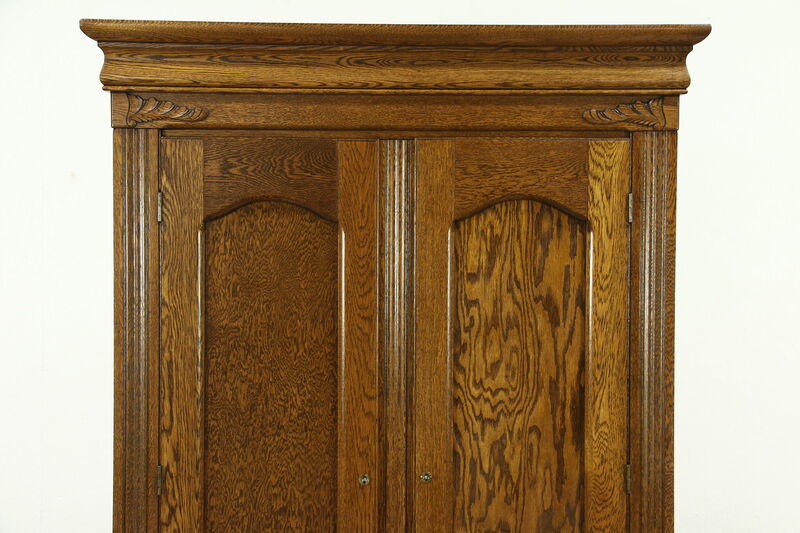 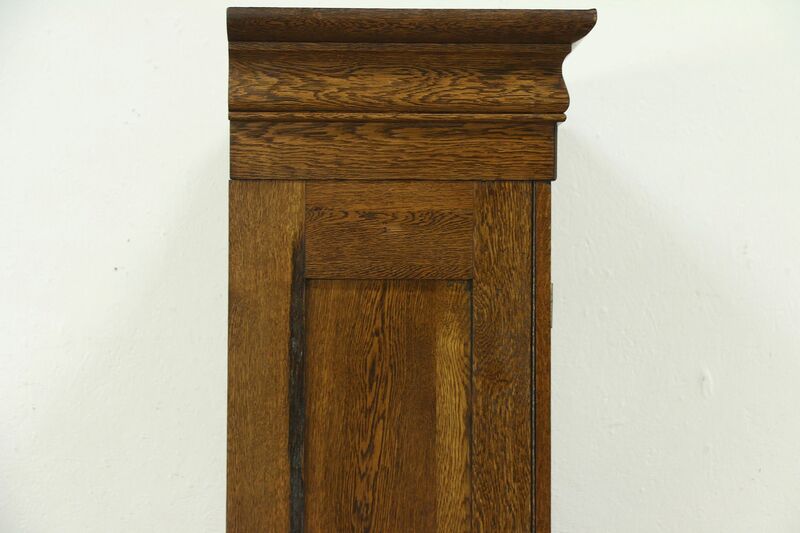 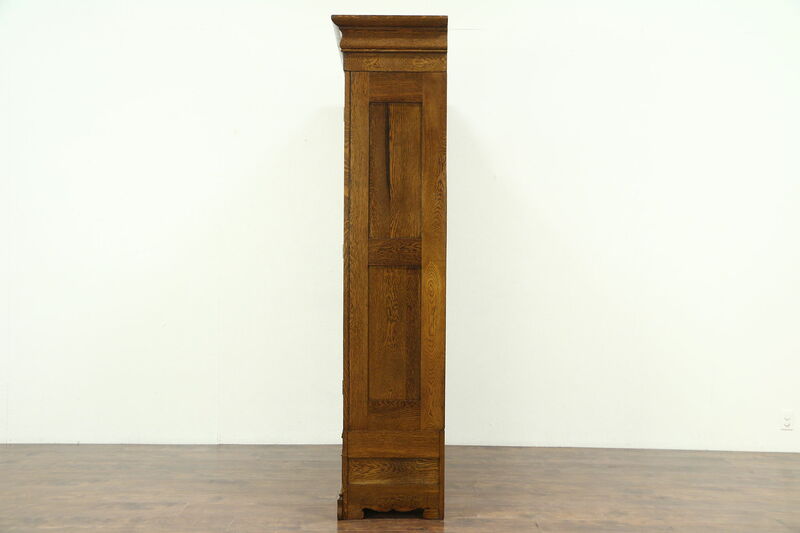 A solid oak armoire, closet or wardrobe from about 1900 can be disassembled for easier moving. 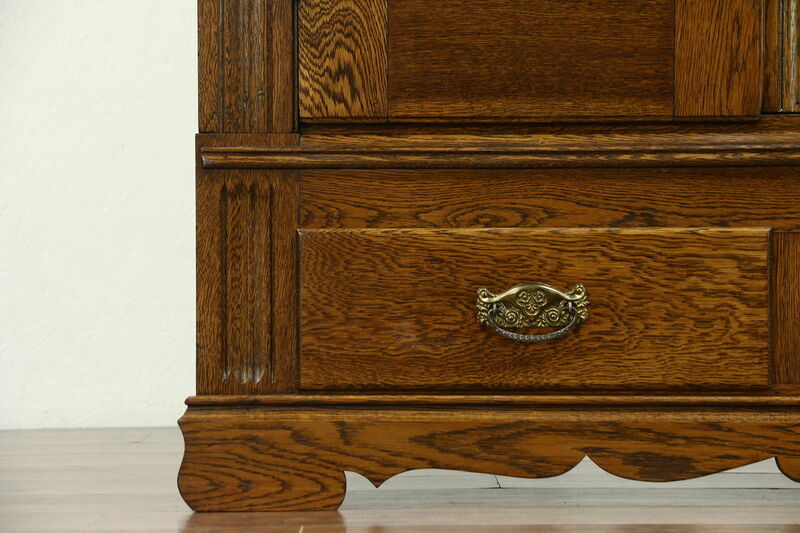 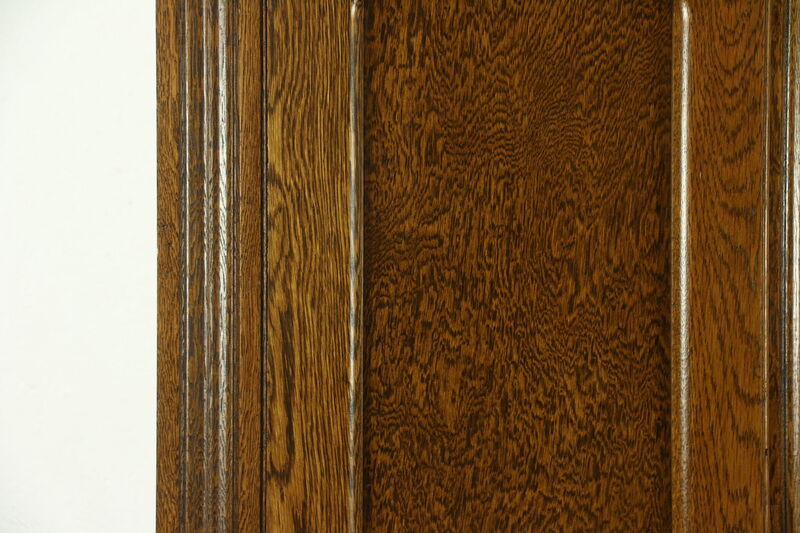 The restored finish is low luster and in excellent condition. 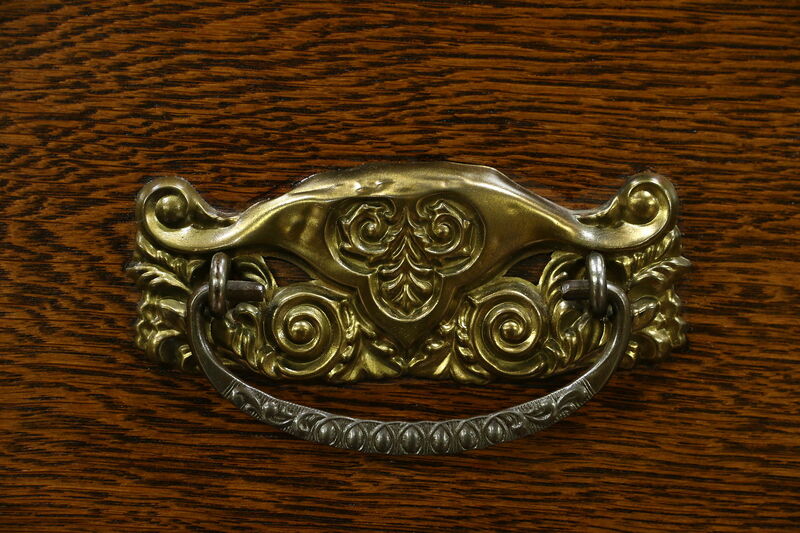 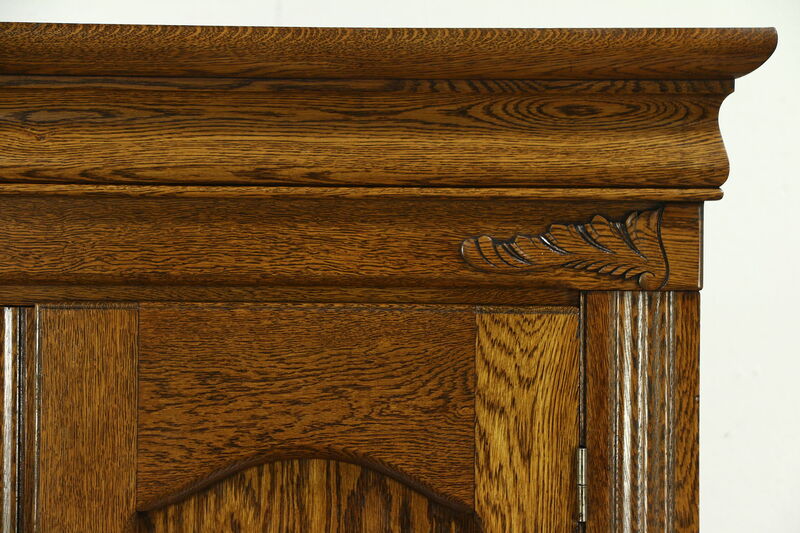 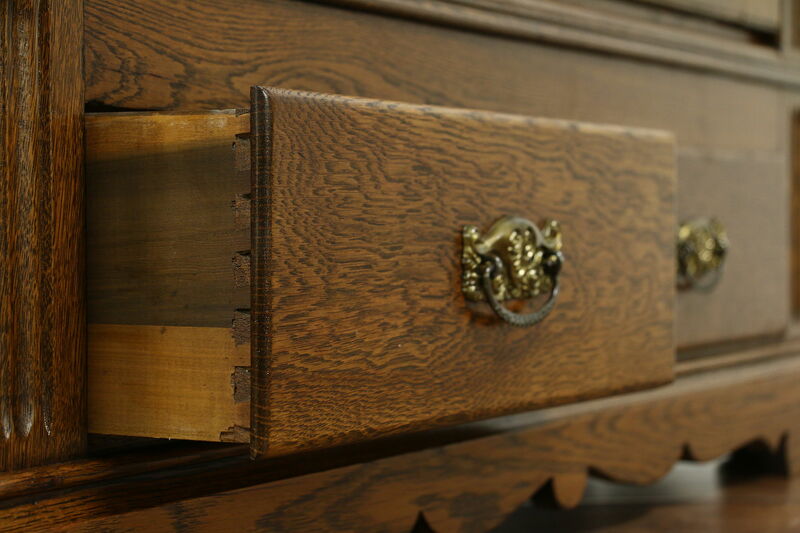 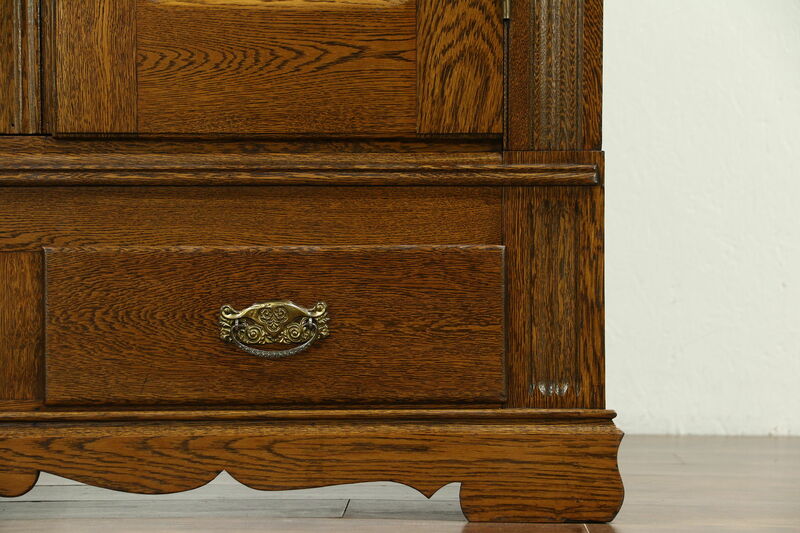 Drawers have dovetailed joints and original pulls on this American made antique furniture. 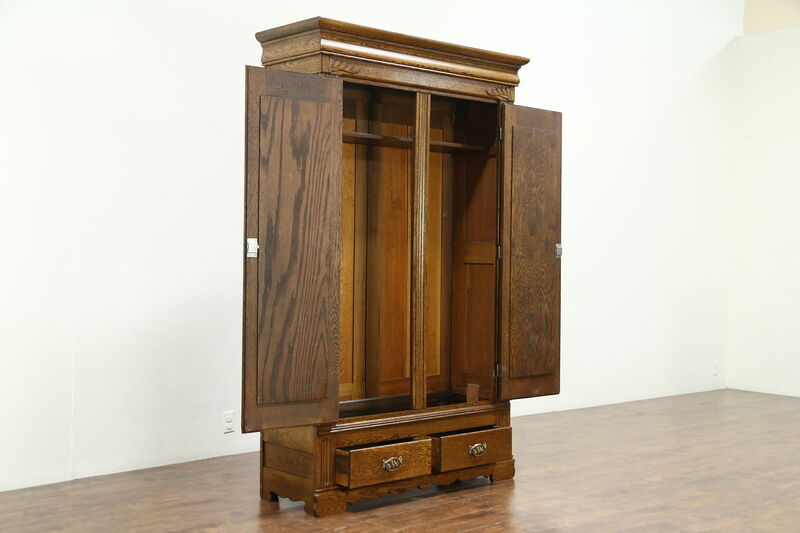 The interior is empty and could be fitted with shelves or a closet pole as desired. 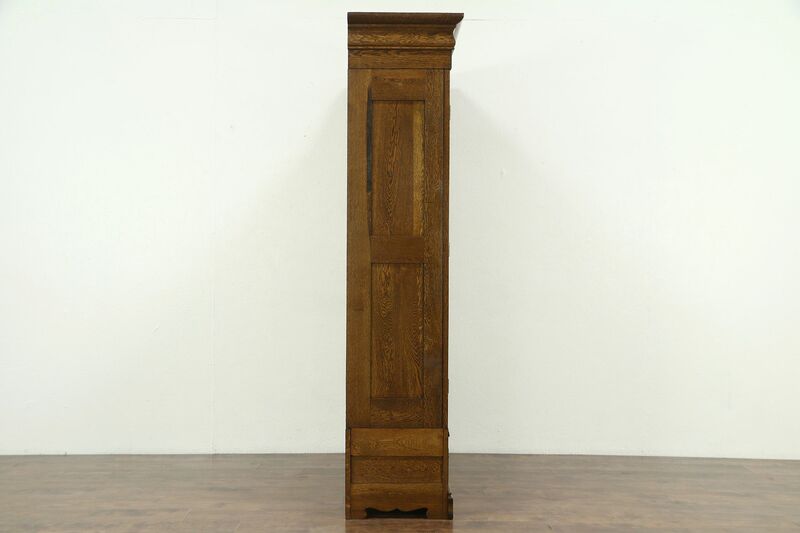 Measurements are 52" wide, 19" deep and 83 1/2" tall. 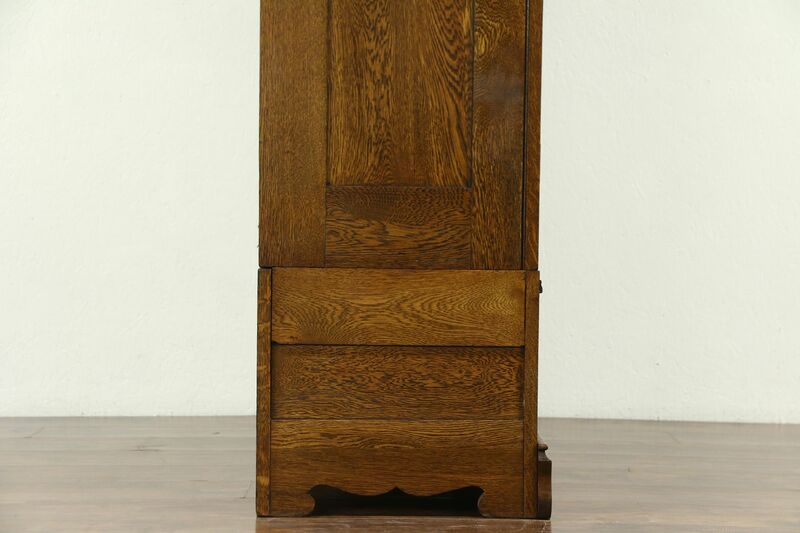 The inside is 16" deep.